Homepage. This page: Garage operated by Leonard Jones M.I.M.T. in the South West of England. I found this pre-war garage invoice in 2006, and it has survived in great condition. 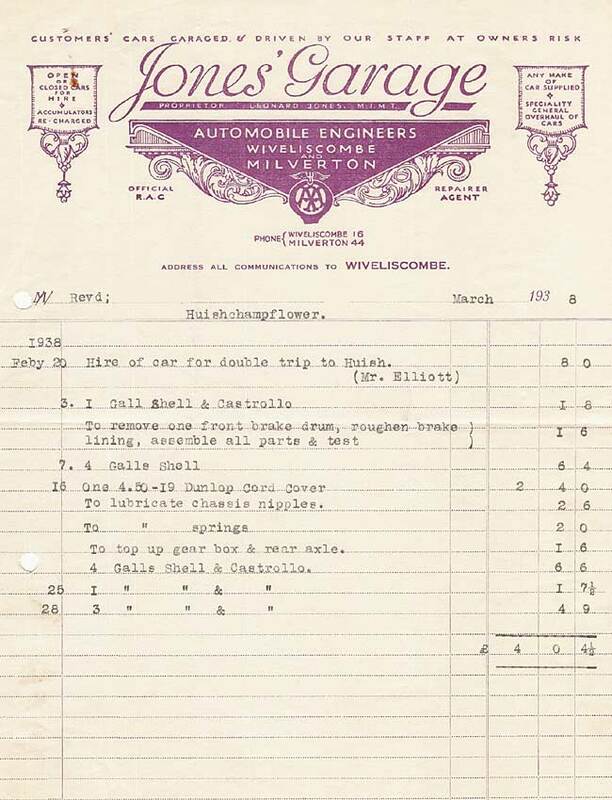 It was issued by Jones' Garage, who were automobile engineers situated in Wiveliscombe and Milverton. They were an official RAC-approved repair agent too, so if you had a coming together while driving your rickety old Hillman Minx, or put your Austin Chummy through a hedge whilst chasing a young lady on her horse, Jones' could fix the car up again. 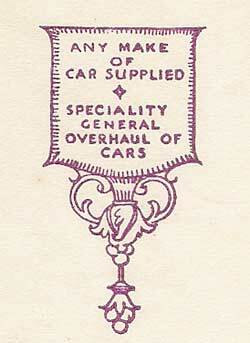 As well as car overhauls, they could also offer 'any make of car' so it seems like they bought and sold cars too. Open or closed cars could also be hired - whether these were self-drive or chauffeur-driven I'm not sure. Accumulators (batteries) could also be re-charged, for a nominal sum. Sadly there is no mention of the make or model of car that this work was done to. 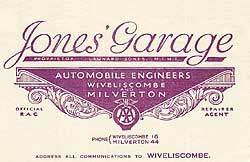 A look online suggests that there is still a Jones Garage, located on West Street in Wiveliscombe, Somerset, but whether this is the same family company, or location even, I don't know.